Oatmeal is a wonderfully versatile ingredient in the kitchen. Not only is it perfect in many savoury and sweet recipes, but it brings many health benefits as well. 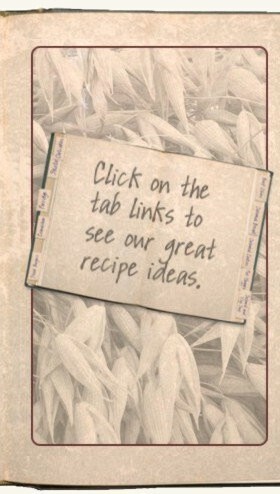 We have assembled some of our favourite recipes for you to try; simply click on the tabs on the recipe book below to navigate through the pages. Our Oatmeals are made from 100% Scottish Oats and you can find our full range for sale in our online store. 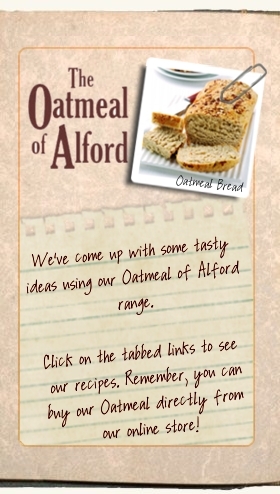 Alternatively, look out for The Oatmeal of Alford in most good supermarkets.